Located within the walls of our gallery space is a unique and inviting wine gallery featuring hand-picked selections of old world and new world wines. Sit back with friends and sample our selection before leaving with your favorite bottle, or two. Let us surprise you with our thoughtfully curated collection of artisan fine wines.Our boutique wine bar is a cozy spot to lounge and sip wine with an artfully presented charcuterie or cheese board. Enjoy the fresh air while relaxing in one of the outdoor seating areas in the upper gallery our down in the gated art garden in the lower gallery. Looking for something to cleanse the pallet? Indulge in out collection of gourmet foods and cheeses for the perfect pairing! Add wine tasting to your next trip itinerary before or after your restaurant, theater, or beach excursion. Challenge your taste buds with our constant rotation of fine wines on tap at the Wine Bar. We specialize in finding small production offerings, unique varietals and great local wines. Order one or more 2-ounce tasting pours or a 6-ounce glass. 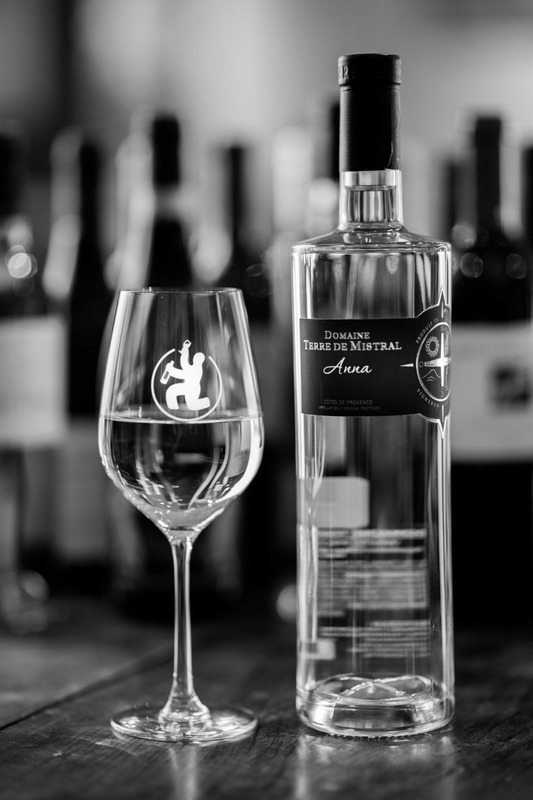 As you are looking through the wines on our shelves, you will notice stickers stating that the wine is on tap and available to taste before you buy. Join the Gallery Email List and hear about upcoming gallery events for 2018! 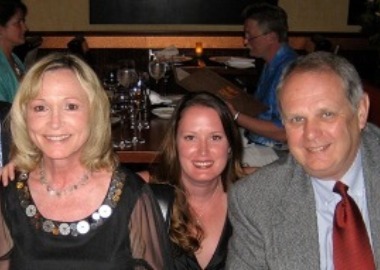 Walt and Eileen Brys shared a full life together of successful careers and child rearing. They retired after due time and moved to Florida. However, retirement felt too...retiring. Their long-dormant dream of being winemakers became a calling. So they rolled up their sleeves and began a whole new chapter. Thus began the search for the perfect place to raise a new family of grapes. 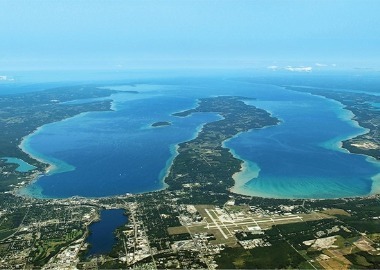 After two years of searching, the Brys found the ideal location just north of Traverse City, Michigan: Old Mission Peninsula. Located on the 45th parallel, Brys Estate resides on that magical little line that runs halfway between the equator and the North Pole. These coordinates belong to some of the world's most famous winemaking regions. Brys Estate Winery is 91 acres and houses over 40,00 vines. "For me winemaking is an art and a passion. Old Mission Peninsula and Brys Estate allow me to make that passion a reality in handcrafting some of the best wines in the world!" Meet Coenraad Stassen, the vintner behind the vines and wines. Stassen grew up in the Western Cape of South Africa amongst the grape vines of the famous Cape Town wine region. He attended Elsenburg College (now named the Cape Institute for Agricultural Training) in Stellenbosch where he graduated at the top of his class in the Senior Cellar Technology Program. 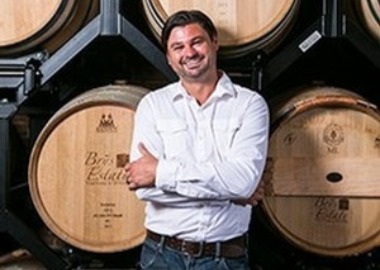 After 8 years honing his winemaking skills in the Klein Karoo Region, Coenraad joined the international exchange program through Ohio State University in 2003 which brought him to the Old Mission Peninsula and Traverse City. The little black dress of wine: smooth, elegant, and a little spicy! This Pinot Noir has a rich black cherry finish. Viscous and luscious palate with a long memorable finish of fruit, spice, and well-integrated French Oak. Bring a bottle home or give as an excellent host gift. Great food wine with seafood, red meats, poultry, pork, and morel mushroom. Is it a white? A red? Why YES, it is indeed! Brys wine maker thought outside the box when blending a red and white in one bottle. Seems crazy, but it's the winery's best seller-a simple, sweet summer sipper that Brys calls their Porch Pounder. Try a taste or a glass at our wine bar! The truffle of wines. Both rich and complex like your twice removed aunt, but much more enjoyable to have over for dinner. This cab franc has cherry and dark berry flavors. 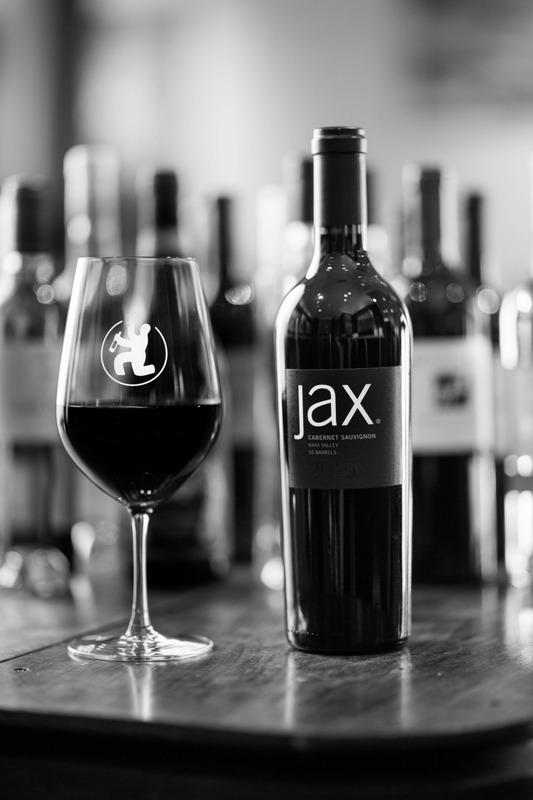 This wine offers a luscious mouthfeel with hints of dark chocolate and cherry. Excellent with red meats, lamb, and milk and dark chocolate.